In this episode Patrick Chalmers and Yoram Gat talk about Patrick’s inside view of establishment journalism. Patrick presents his analysis of the roots of the problems with journalism and their connection to the problems of our systems of government. Patrick’s book – Fraudcast News – How Bad Journalism Supports Our Bogus Democracies – can be found online here: http://fraudcastnews.net. Some research shows that the act of deliberating with others has an impact beyond exposure to arguments or evidence. That is people given the evidence and arguments don’t move as much as those who are asked to discuss that evidence and arguments with others. This sounds like something positive for deliberative mini-publics. But it might not be. Because they are not independent the same flawed thinking or arguments can be magnified. For instance we could see the citizens in the mini-publics engage in groupthink. Some opinions might be aired, but can be effectively suppressed by the atmosphere in the room. There is significant evidence in social psychology that groups can push opinion to extremes and silence minority opinion. To prevent this great care has to be taken that all views are respected. I’m wondering whether any readers have insights about books and/or articles which build on/critique John Burheim’s path-breaking and overarching model of demarchy, and/or apply demarchy to non-government organizations such as corporations or unions. I’m conducting some research in this space and haven’t been able to find too much work specifically on demarchy in published work (but have found a lot about specific uses of random selection). Any and all suggestions would be much appreciated. Thanks! Paul Frijters is a Professor of Economics at the University of Queensland and an Adjunct Professor at the Australian National University’s Research School of Social Sciences. I used to be quite charmed of the idea of citizen juries for policies and even for deciding on who would be in parliament. It sounded so democratic, such an elegant solution to the problem of special interest groups worming their way into our democratic institutions. It seemed like a magic solution for hard problems. On reflection though, I find myself on the side of Edmund Burke and Socrates, who both denounced the idea as silly and unworkable. I agree with them: it is hard to see what use small random groups of citizens would be for policy-making in modern Western institutions. An interesting discussion follows the post, with several discussants who seem to be aware of the idea and who seem to have given it some thought. The Sortition Foundation is organising two free events (in London and Cambridge): What is a G1000? Our aim is to hold one G1000 in London and one in Cambridge in late 2016 or early 2017. As such we are organising these two information sessions “What is a G1000?” with the founders of the Dutch G1000, Harm van Dijk and Jerphaas Donner. South Australia will randomly select 400 people to sit on citizens’ juries to consider the state’s approach to its nuclear future. The juries are part of a public relations exercise Premier Jay Weatherill said would cost less than $1 million this financial year and there would be additional spending after that. 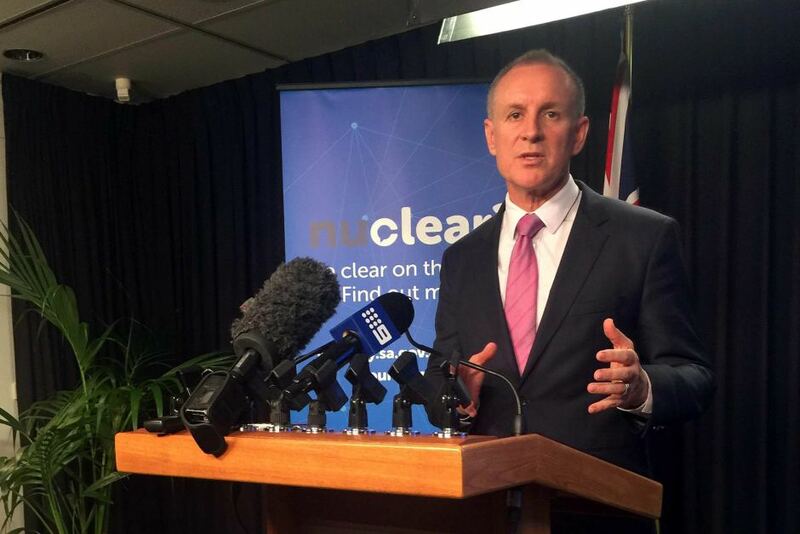 The announcement came a day after the Nuclear Fuel Cycle Royal Commission report said plans for a high-to-intermediate-level waste dump should be actively pursued, if the public wants it. Mr Weatherill said it was important to have “the fullest and most mature debate that we can possibly organise”.